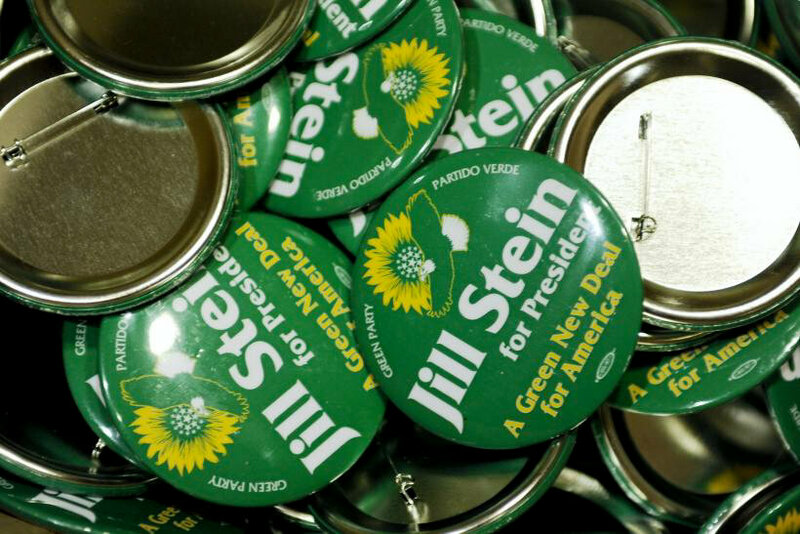 There is nothing “progressive” about the Ocasio-Cortez-promoted “New Green Deal,” which is little more than an industry-driven, neoliberal solution that will not solve issues like climate change and poverty but instead empower their underlying cause: U.S. oligarchy. According to a draft of the plan that is currently available on Ocasio-Cortez’s website, the proposed House committee “shall be composed of 15 members appointed by the Speaker, of whom six may be appointed on the recommendation of the Minority Leader.” By all indications, the next speaker of the House is set to be Nancy Pelosi (D-CA), meaning that every member of the committee will be appointed by her, with six of those members potentially being appointed on the “recommendation” of the House’s top Republican. Notably, Ocasio-Cortez herself has recently backed Pelosi as House speaker. Does anyone know anything about this new and seemingly quite well-known/popular sunrise movement? It seems as though they came out of nowhere and have garnered a fair amount of media attention. 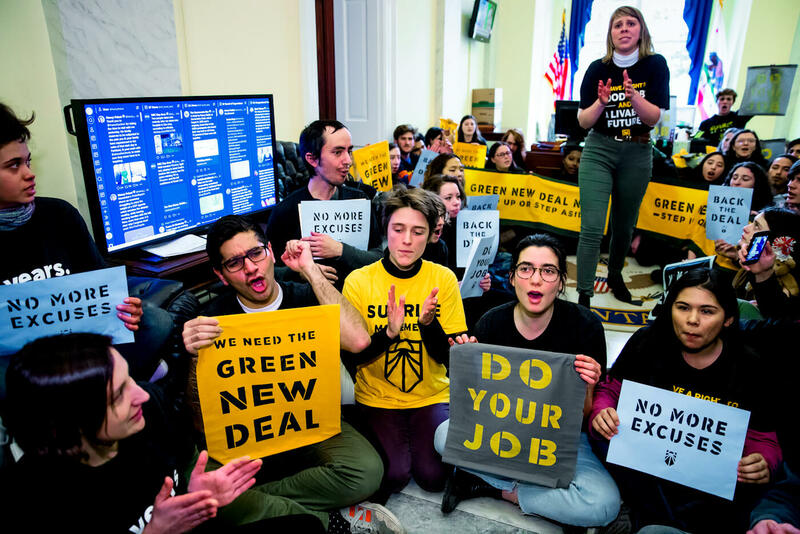 Typically, if something like the Green New Deal, or a group like the Sunrise Movement truly did threaten the status quo, they would receive very very little media attention. This whole thing smells a little fishy…..
December 19, 2018 | RESIST! 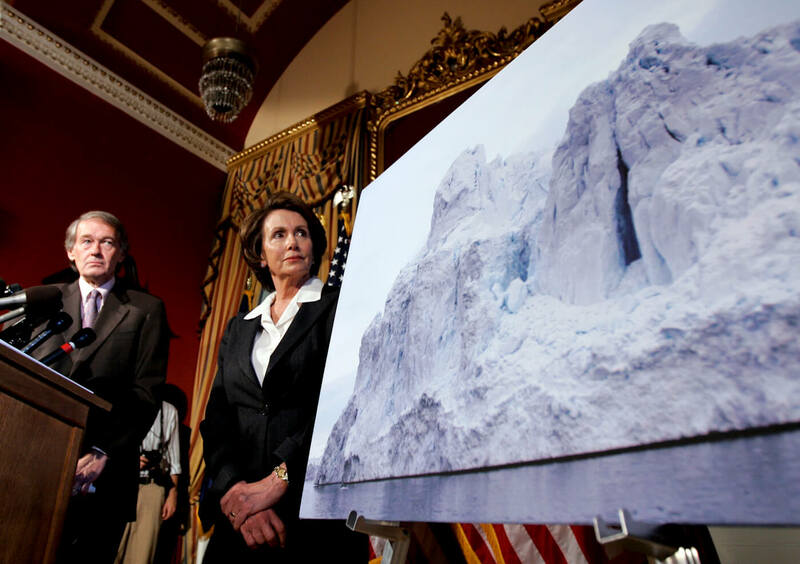 While Ellen Brown describes now MMT can provide funding, the article does not address the points in THIS article that is, that it’s highly unlikely that the creatures that corporate Nancy Pelosi and the republicans appoint to the committee in the House will produce anything CLOSE to the REAL Green New Deal.